Your Gift Will be Doubled This #GivingTuesday! 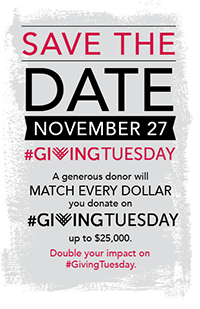 #GivingTuesday is November 27. And thanks to the generosity of Lesbians for Good at Horizons Foundation, every dollar you donate will matched up to $25,000! #GivingTuesday is a global day of giving back in the midst of the consumerism that surrounds the holiday season. 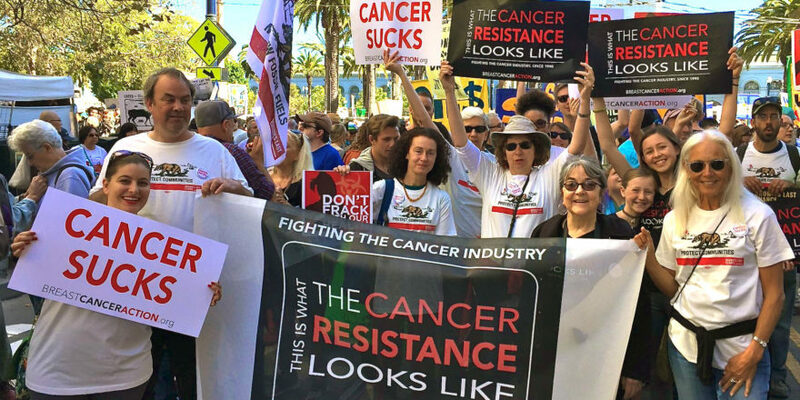 Breast Cancer Action is a lean organization with an outsized impact that never takes corporate money from any company or organization that profits from or contributes to cancer. And we raise 70 percent of our funding from individuals like you during this time of year. Long-time donors, Lesbians for Good at Horizons Foundation, are proud to offer a dollar-for-dollar match up to $25,000 and encourage others to join them in supporting Breast Cancer Action’s work. In the spirit of collective action, we ask you to include Breast Cancer Action in your #GivingTuesday donations to fund our work to address and end the breast cancer epidemic. Save the date and spread the word about #GivingTuesday. Your gift will make sure we have the resources we need at this critical moment as we work to achieve health justice for all women at risk of and living with breast cancer. With heartfelt gratitude and in solidarity for the work that lies ahead. This entry was posted in Articles, BCA News, E-Alerts.